Last edited by junk240sx; 03-29-2012 at 12:22 PM. It's on top of a twinscroll 16g. My old thread shows it fitted it in a 2002 WRX. Does anyone have any logged data to see any difference? We have an awesome buy for anyone looking at GR TMICs. 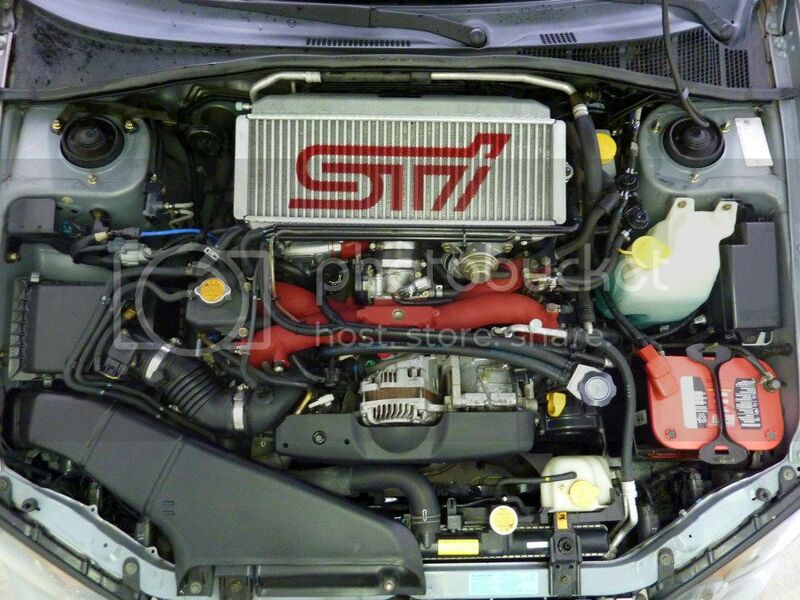 100% new 08+ Sti TMIC. We took it out of the box to snap a photo, that is it. Overall perfect shape. $399 + $25 ship 48 States (retail is just over $600!). Comes exactly as shown. I'm glad this thread is helping out some members here doing this particular upgrade. I'm getting a few messages regarding leaks and honestly I've personally never seen a stock sti gd/gr sti tmic leak around the crimped endtanks but it's definitely a possibility because the endtanks are not welded from the factory. My best advice to you guys doing this upgrade is to pressure test their IC first before installing them to avoid the headache. The 08-12 STI TMIC has 8 additional crimps vs 04-07 STi so theoretically is 12% more resistant to leaks, 68 crimps vs 76 crimps, 8/68 = 12%. Doesn't the newer one have a larger surface area though....? yes, the new one is wider end to end, hence the added crimps. I'm pretty certain the strength/failure rate would be the same between the 2 different sizes. are the y pipes interchangeable? Does anyone know where I can pick up that third bracket? I need one for 06 WRX. 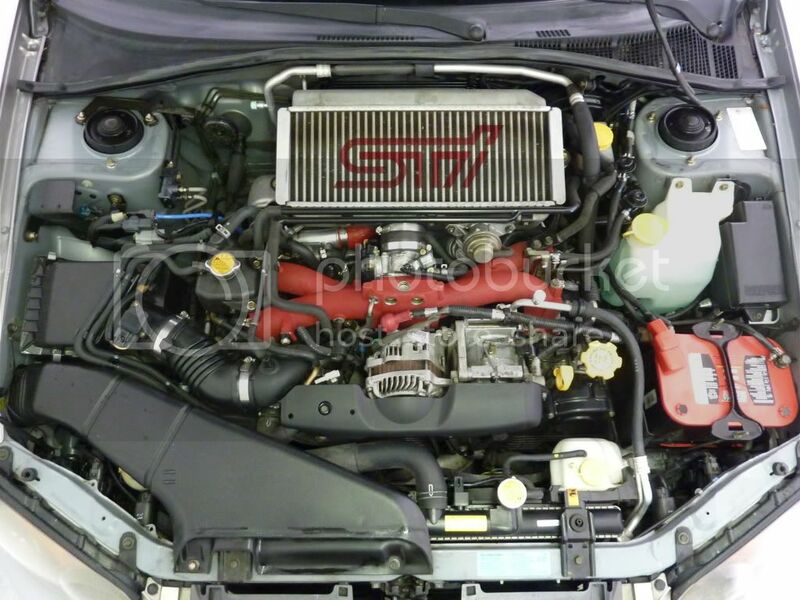 you will find it in their OEM Catalog under: 2011 Impreza WRX - cooling - intercooler - intercooler - support right. It costs $18.76. I am sure any year 08+ will work, I just chose 2011. You will also need a bolt to secure the mount to the hole that a 04-07 STi intercooler goes into. It is the same bolt that secures the left side mounting bracket to the intake manifold (there are two there, you only need one extra for the right side though). I just cut the new bracket so I did not have to mess with trying to mount it using all three bolts, you can do it how ever you want though. Last edited by jebjkey; 04-21-2013 at 01:27 PM. Nice to know. Not that I'll be upgrading any time soon... lol. I'm digging up this old thread to get an answer on a coupler that will work on a GR STi to GD. Size and Diameter or link to it please. They only have one.. stock diameter. They just make it longer because its suppose to be cut to fit but its just right. But I would go with another brand. Mishimoto quality is honestly crap. Last edited by my name is joe; 06-17-2015 at 06:53 PM. to add on to this. is it possible to fit a 2015 TMIC on a 06 wrx? I assume you would need some kind of custom mount. Its likely the same thing. can you count the rows of the 2015 and then post the number? Also post a picture of the underside, let's see that v-duct shape.